1. Jacob Stanford (La Costa Canyon) -- Victories at Stanford and Mt. Carmel plus a fourth place finish at Mt. SAC while leading the team to a second place finish in the Team Sweepstakes marks the BYU-bound standout as one of the section Division II and State Championship front-runners. A best of 15:10.9 for 5K. 2. Garrett Stanford (La Costa Canyon) -- A fifth place finish at Mt. SAC showed a complete return to form where he almost always is either right behind or right ahead of his twin brother. Also headed to BYU, could easily be No. 1 were it not for a foot injury that hobbled him early. 15:32.2 for 5K. 3. Caleb Niednagel (La Costa Canyon) -- The junior transfer from Dana Hills may very well end up being the No. 1 on this team given another few weeks. He ran a faster time at state a year ago and has been a step or two behind the twins all season. Ran 15:14.9 at Stanford. 4. Franky Varela (San Pasqual) -- Has been among the leaders in the section all season. Placed fifth in the Individual Sweepstakes at Mt. SAC and is known as a powerful runner who will set the pace if necessary. Ran 15:03 at Mt. SAC and 15:40.0 for 5K. 5. Daniel Rubin (Sage Creek) -- A veteran runner whose inconsistency keeps him from joining the elite group. Went 14:48.7 over the flat Woodbridge course to show his speed. He also ran 15:43.6, placing third and leading Sage Creek to the Division IV-V Mt. SAC team sweepstakes title. 6. Matthew Machnov (El Capitan) -- Runs best in the big meets as his 14th place in the State Division III championships a year ago shows. Running even faster now with a fifth place finish in the Mt. SAC Division III race at 15:24.0. 7. Nader Ali (Crawford) -- Probably wouldn't be among the Top 10 on most lists but is a veteran runner who thrives in the big meets and gushes talent. Won his division race at Mt. SAC in 15:42 and was 12th in the state in Division IV a year ago. Unlimited potential. 8. Andy Pueschel (La Costa Canyon) -- Imagine being the No. 4 runner on your team and still being in the Top 10 in the section! Pueschel is totally unsung but may very well be the key if the Mavericks are able to capture the State Division II crown. Ran 15:42.7 at Stanford. 9. Alejandro Barranco (Poway) -- Very competitive from a strong program. The junior has a best of 15:24.0 from a league cluster meet and will get his chance to shine in the section championships. Lots of upside. 10. Justin Morris (Sage Creek) -- Another veteran runner, although somewhat inconsistent, certainly has the speed and strength to make a major impact toward the end of the season. He's run 14:55.7 for three miles at Woodbridge. 1. 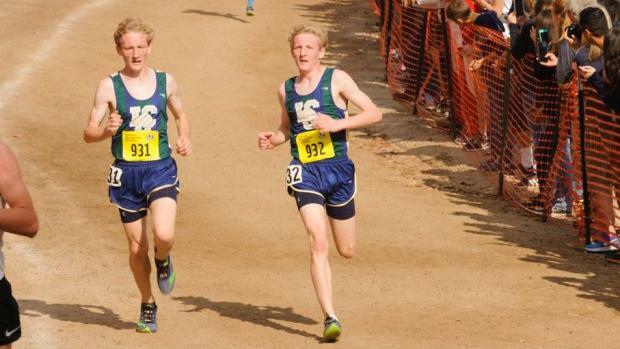 La Costa Canyon (Division II) -- Surprise, surprise. With three of the top runners in the state, an improving No. 4 with Pueschel, and a handful of runners still vying for the No. 5 spot, the Mavericks will be looking beyond the San Diego Section meet toward State. 2. Del Norte (Division II) -- Although they don't have a Top 10 front-runner, the Nighthawks have solid depth which should get them through to the State Meet. Zane Golpariani and Zac Grissom lead the way. 3. El Camino (Division I) -- Sam Jones could easily be among the Top 10 and may be by the end of the year. The Wildcats have a little better depth should one of the top five fade. 4. San Marcos (Division I) -- A nice group of seven runners who will probably not get a call early but will be together at the finish. 5. Poway (Division II) -- The Titans are always in the mix and Barranco gives them the Top 10 finisher. Actually, the top four are solid so if just one of the others step up-nice jump. 6. Scripps Ranch (Division II) -- Could jump into top three since the Falcons are notoriously stronger at the end of the season. 7. El Capitan (Division III) -- Machnov gives the Vaqueros front points and the top three are very solid. Need some help from 4 and 5. 8. Bonita Vista (Division I) -- Kind of just a hunch based on previous years. No front-runner this year but a tight group. 9. 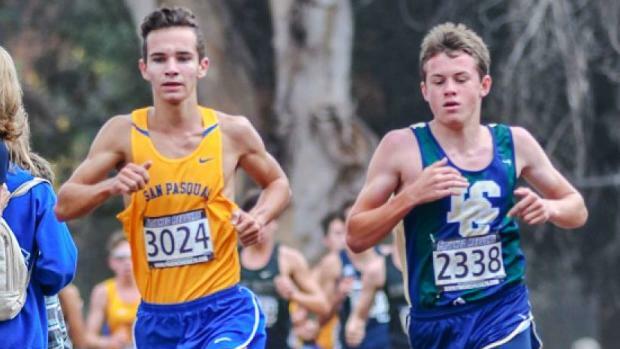 San Pasqual (Division II) -- Aren't here two other runners in school to go with Varela, Noah Tellez-Velazquez and Mathis Wouters? 10. Sage Creek (Division IV) -- Top three -- Rubin, Morris and Bryce Gilmore -- are as good as most. Big dropoff after that.